The Imperial Scottish Squad Leader Sheraz Khwaja presented Nicola and Lauren, the wife and daughter of our late founder Graham Campbell, with a framed UKG patch and Commemorative Founder's patch today. 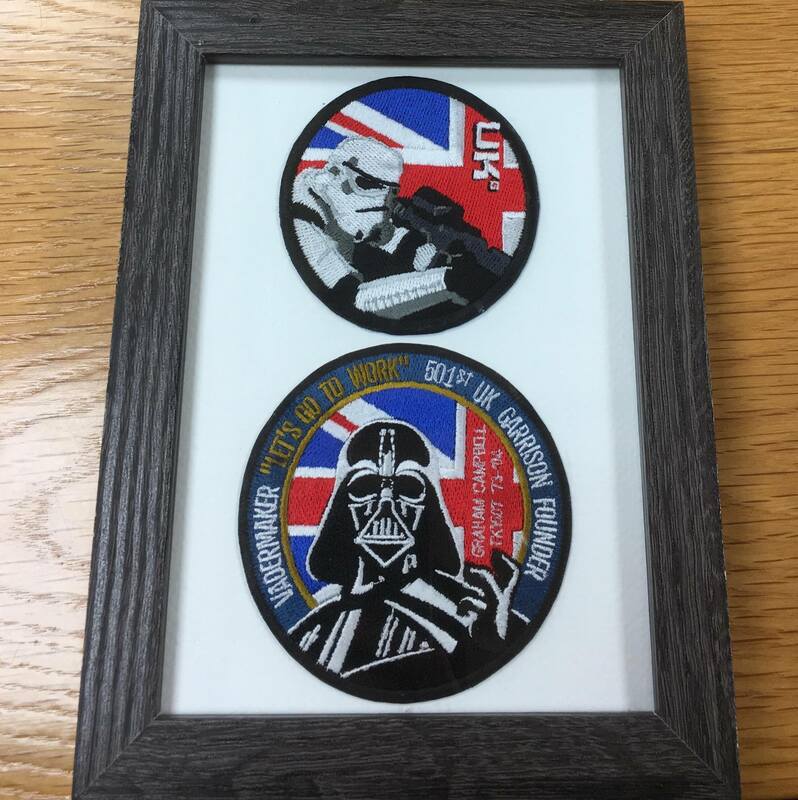 Members of the UK Garrison paid a visit to the first Thames Con 2018, held at Abingdon & Witney College, and were featured in the Oxford Mail report on the event. In an interview with the Anaphylaxis Campaign, UKG member TK 14106 - Emma Bennett explains how she manages to costume while managing a serious latex allergy. 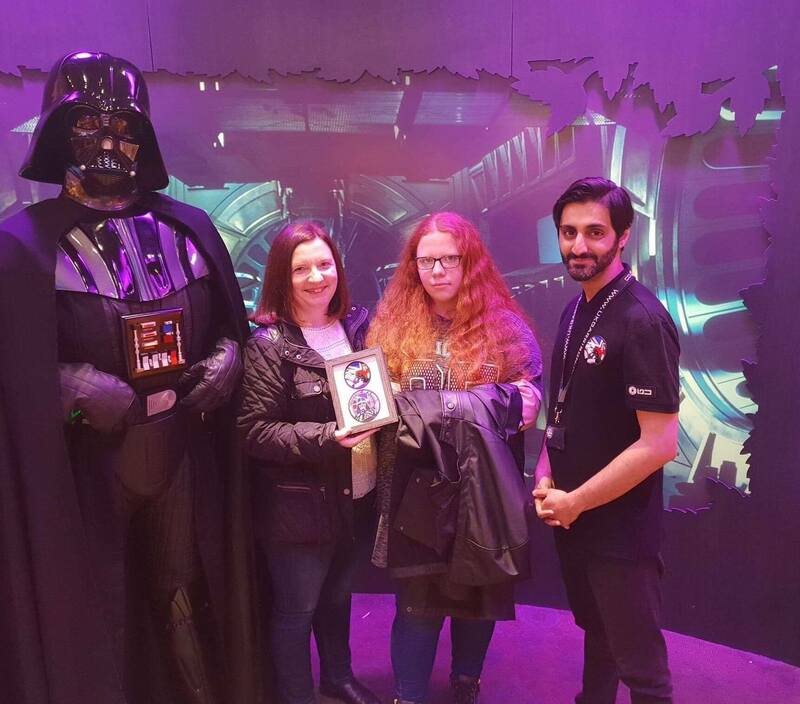 The members of the UK Garrison have made the BBC News - As they joined fans from around the country for Wrexham's Wales Comic Con 10th birthday. Last Friday the UKG had the pleasure of attending Autism Support Crawley's - Autism Awareness Month Celebration Party. 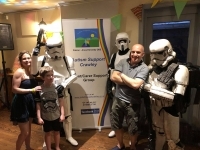 This event was organised by Maria Cook who is Mum to UKG Honorary Stormtrooper Ryan who has Autism.